I am giving away 3 colour pop prizes to my followers on Instagram. 1. On a Whim Collection - includes magic wand, mess around, stud, toolips and dopey. If you are under 16 years of age please ask permission to enter as I will need your delivery address for sending out the prize. I have already had a lot of people entering using private accounts however I am unable to see account entries unless your profile is public. The giveaway is only available to those in the UK, you can enter once per day. My giveaway closes on the 24th of January 2017. 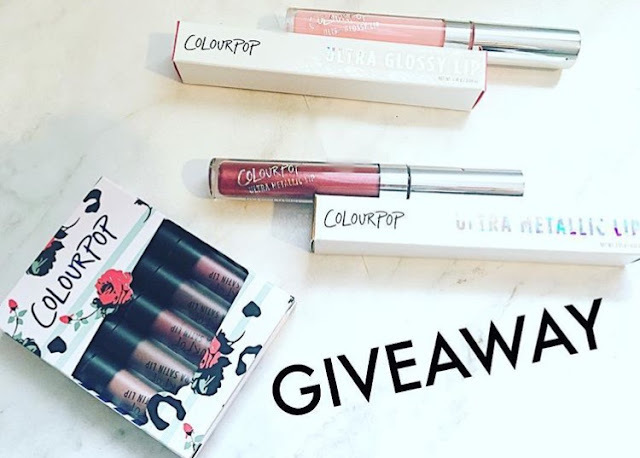 Great giveaway dear - thanks for sharing!